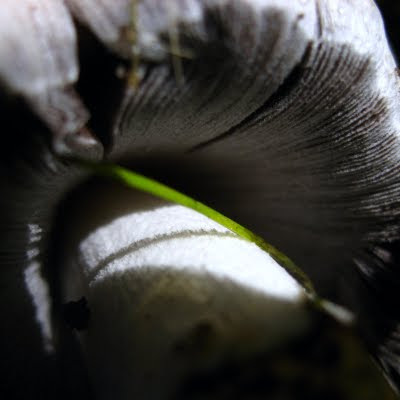 A blade of grass on the underside of a mushroom. I like it. It's a very interesting picture to look at. I'm amazed by the creative things like this.